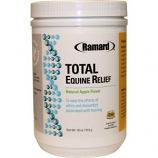 Ramard Inc. is a dedicated team of Veterinarians, Trainers and Biochemists, who are committed to manufacturing the most powerful and effective equine and small animal products on the market today. Their goal is to create and produce innovative, cutting edge products that are made with only the highest quality pharmaceutical-grade ingredients available, and are free of fillers and artificial ingredients. • Safe For Use On Dogs and Horses. Ease the effects of aches and discomfort associated with training. Beneficial for normal inflammatory responses elevated tempatures discomfort heat aches stiffness redness and seasonal a. . . .
• Enhances Oxygen and Capacity and Combat Seasonal Allergies. • Delivers Fast Results To Support Normal Gut Ph, Bacterial Balance and Maintian Abdominal Comfor and Normal Stool. • To Ease The Effects Of Aches and Swelling Associated With Training. • Eliminates Your Horses Stress and Discontentment and Allows You To Get Back To Safe and Productive Training. • Supports Soft Tissue, Ligaments, and Tendons. Neucleoforce, Glutamine, Bioflavex, Ascorbic Acid, Omega 3 Fatty Acid, Omega 6 Fatty Acid, Zinc, Vitamin A, Selenium. • Sugar Free, Herb Free, All Natural. • Helps Maintina Normal Body Cells and & Tissues. • Effective In 1 Hour.